02/04/2018 CCS 2018 meeting in Germany German Regional Weekend Meeting in Stuttgart on Saturday, 12 May 2018. 17/04/2016 CCS 2016 meeting in Germany German Regional Weekend Meeting in Halle (Saale) on 7 and 8 May 2016. 20/04/2014 CCS in New Zealand, 2015 A meeting at Cook’s Beach, Coromandel, March 20-22, 2015. 04/06/2014 CCS in Australia 2014 Thirty Years Celebration in Sydney and Mt Waverley in August ! 27/04/2014 Cook Museum in Whitby seeks new Operations Manager Museum is seeking an Operations Manager to replace the current post-holder. 20/04/2014 CCS 2014 visit to Eton College CCS members and friends can visit Eton College on Saturday 12th July 2014. 25/08/2011 CCS 2009 meeting in USA US Regional Weekend Meeting held February 13-15, in Hawaii. 25/08/2011 CCS 2000 meeting in the UK UK Regional Weekend Meeting from 22 to 24 September 2000 at Marton. 18/02/2012 CCS 2012 meetings in the UK 2012 UK meetings held In Marton 27-28 October, and in London on 31 March. 18/02/2012 CCS 2012 meetings in Australia Four meetings held in Australia in 2012 ! 25/08/2011 CCS 2010 meeting in Austria German Regional Weekend Meeting held in Vienna on 11 September 2010. 25/08/2011 CCS 2011 meetings in Australia NSW Regional meeting on 24 February. VIC Regional meeting on 24 March. 08/06/2012 New website online Major redesign of the look of our website, adding more features. 18/02/2012 CCS 2012 meeting in Germany German Regional Weekend Meeting in Göttingen on 31 March / 1 April 2012. 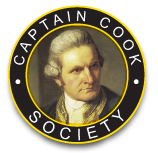 01/10/2010 Letter By Cook Discovered In 2002 Withdrawn from Auction Letter written by Cook in 1771 informing the Admiralty of his safe return. 25/08/2011 CCS 2009 meeting in the UK UK Regional Weekend Meeting held 23-25 October 2009 at Marton. 25/08/2011 CCS 2009 meetings in Australia Five meetings held with two at Kurnell and two at Mt Waverley. 25/08/2011 CCS 2008 meeting in the UK UK Regional Weekend Meeting held Friday 24 to Sunday 26 October at Marton. 25/08/2011 CCS 2007 meetings in Australia On 21 and 22 March, on 15 August and on 24 September. 25/08/2011 CCS 2007 meeting in Germany On 24 March 2007 at a hotel in Düsseldorf. 25/08/2011 CCS 2006 meeting in the UK UK Regional Weekend Meeting held from Friday to Sunday 20-22 October at Marton. 25/08/2011 CCS 2004 meeting in the UK UK Regional Weekend Meeting held from Friday Sunday 29-31 October at Marton. 25/08/2011 CCS 2003 meeting in the UK UK Regional Weekend Meeting from 24 to 26 October at Marton. 25/08/2011 CCS 2002 meeting in the UK UK Regional Weekend Meeting held from 13 to 14 September at Marton. 25/08/2011 New Name for us In late 2001 members voted to change the name of the organisation. 25/08/2011 Lincoln memorial to Joseph Banks On 26 May 2000 at Lincoln Cathedral appeared a new monument to Sir Joseph Banks. 25/08/2011 Captain Cook Conference, 2002 in the UK Report on the talks at "Captain Cook: Explorations and Reassessments"